EUR/GBP and NZD/JPY are about to hit major areas of interest, brothas! See if you can make pips from these long-term forex trade setups. Remember that range support that we spotted a few weeks back? Well, it looks like forex bulls made it work! This time around, the bears are holding the fort near 75.50, which marks an area of interest that has been holding as support and resistance since March. 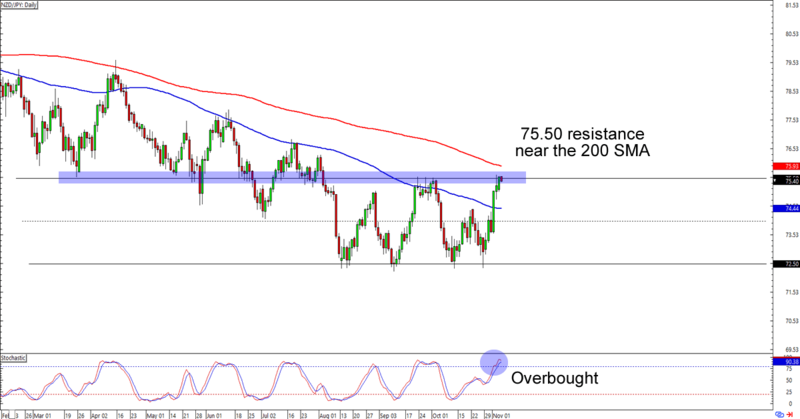 What makes the setup more interesting is that 75.50 is also just below the 200 SMA on the daily chart. Oh, and check out stochastic chillin’ like a villain in overbought territory! Shorting at the earliest signs of a bounce could give you a good reward-to-risk ratio especially if you aim for the range support near 72.50. Just remember to use wide stops when trading currency crosses on higher time frames like these, aight? Support alert! EUR/GBP looks like it’s heading for the .8700 major psychological handle that has been holding as support since May 2017. That’s almost a year and a half, folks! With stochastic about to hit oversold status, you can bet your pips (with proper risk management, of course) that other bulls are already plotting their trading plans for this setup. 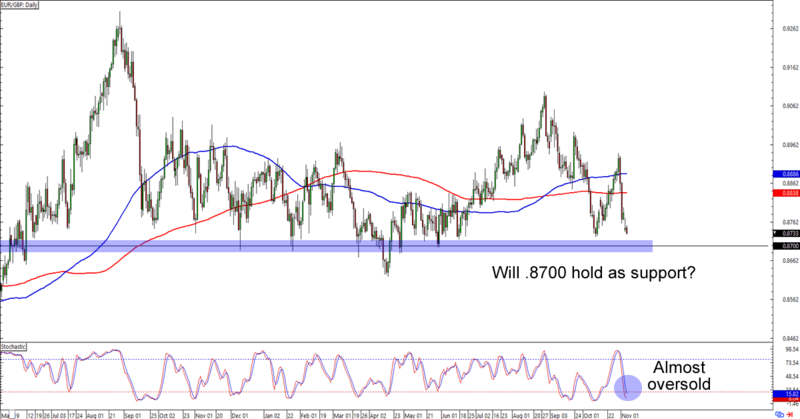 Think the euro will see another bounce at .8700? Keep close tabs on this one!